G That's Awesome Brands, Inc.
Distributors of Anti-Icky-Poo, Almost Invisible Cat Litter, Biodegradable Pet Waste Bags, Premium Litter Scoops and Other Superior-Performing Products. In December of 2013, G That’s Awesome Brands acquired Anti-Icky-Poo.com and instantly became a leading domestic distributor of Anti-Icky-Poo and the exclusive international distributor of Anti-Icky-Poo and MisterMax products. Anti-Icky-Poo is the most recommended brand of odor and stain removal products by veterinarians and animal care professional, Anti-Icky-Poo is highly effective and greatly out performs the national selling brand, but sells at relatively the same price point. 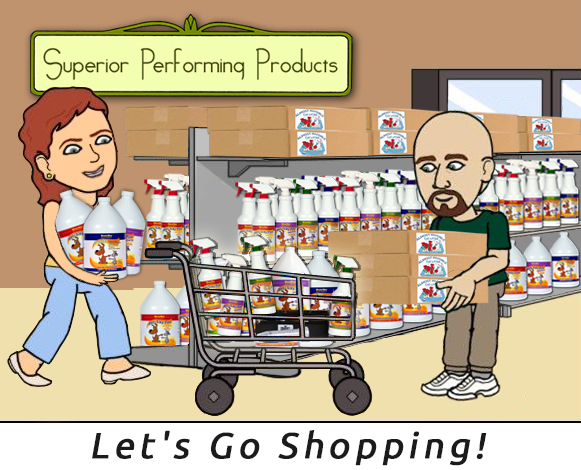 The entire line of Anti-icky-Poo product are sold with uncomprable satisfaction and performance returns. In January of 2014, the company began manufacturing and marketing Almost Invisible Cat Litter with great success. Almost Invisible Cat Litter is an outstanding new product that has essentially solved the 4 worst aspects of cat ownership: Litter box odors, litter box cleaning, dust and tracking of litter materials throughout the house. With Almost Invisible Cat Litter, you will smell ABSOLUTELY NOTHING for as much as a month with only 1” of material in your litter pan. Really! Almost Invisible Cat Litter is the winner of Pet Product Industry News 2014 Editor’s Choice Award in the litter category. It also has a list of endorsers that reads like a who’s who list in the cat world. In March of 2014, the Company began selling 3 sizes of BioBag biodegradable pet waste bags, so pet owners could have the means to responsibly dispose of pet waste. The following month, G That’s Awesome Brands rounded out its litter box product line began selling jumbo-sized Durascoop premium litter box tools. These unbreakable scoops are made of cast aluminum and are guaranteed never to rust, bend or flick. It has and ultra comfortable grip and are lightweight (0.75 pounds) with anti-scatter sides. It feels great in you hand and is strong enough to use in gardening. Durascoops are sold with an unlimited 5 year warranty, but they will certainly last a lifetime. Ir order to round out its line of odor removal and odor control product line, G That’s Awesome brands acquired a certified organic dog shampoo that has powerful natural flea repellants. The product line is in the process of being rebranded and is scheduled for wide-scale distribution in 2015. Lastly and proudly, our own cat, StovePipe, was rescued from a kill shelter in Los Angeles with less than an hour to spare. 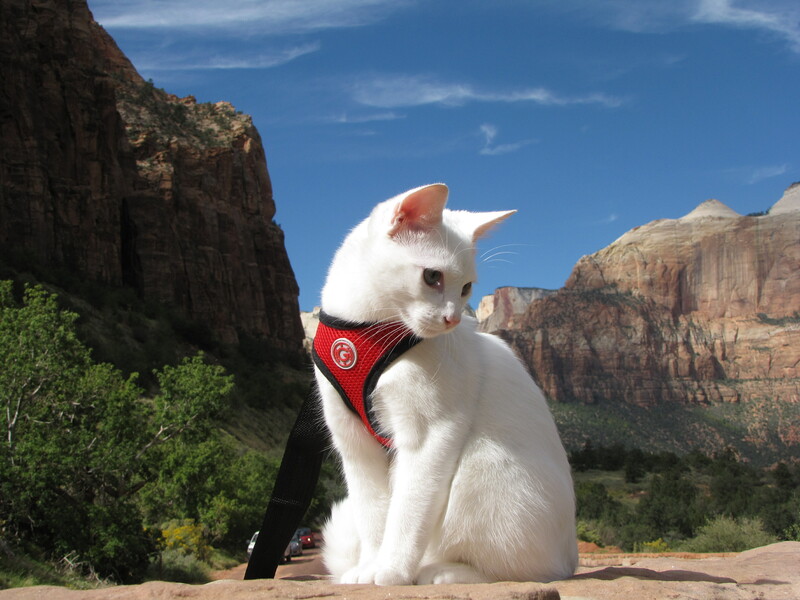 He has turned out to be a special cat that has a passion for traveling, modeling, and sports and is well known for his pictures on social media of him posing at many well known tourist locations. StovePipeCat has dedicated his life to helping other animals and thanking the thousands and thousands of animal care volunteers and resucue workers that give unselfishly of their time and energy to non-profit animal causes. In November of , 2013, Almost Invisible Cat Litter introduced the StovePipe volunteer appreciation program that is beleived to be the Natio's first award program dedicated to rewarding Volunteer. Tabby's Place Sanctuary in Ringoes, NJ was the first non-profit group to adopt the StovePipe proigram. 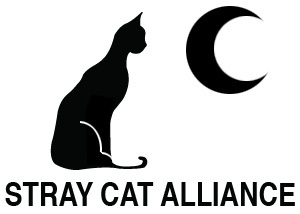 Although most of StovePipeCat's activities are related to charity, G That’s Awesome Brand’s is currently developing a line of cat safety and travel products that was inspired entirely by StovePipe the Traveling Cat. Lori is a lifelong cat lover that was born with a hatred of any odor and a natural obsession for spotless carpeting. Her 3 children, 6 cats and two dogs often pushed her to the edge with the messes they would make. Around 10 years ago, her male cat sprayed her daughter’s room in a manner that contaminated a wide area of the carpet, walls and furniture. The cat’s spray also went into an air vent, which spread the odor to other areas of the house. In an attempt to clean up the problem, Lori tried baking soda, vinegar, two well-known household detergents, a well-known carpet cleaner and two other pet odor removers, but nothing worked. She had the carpets professionally steam cleaned, but the odor returned a few days later. Finally she found Anti-Icky-Poo. By following the products instructions, Anti-Icky-Poo provided the final solution this spray problem. When the opportunity to distribute Almost Invisible Cat Litter came along, Lori was skeptical and unsure that a litter product could control odor for as long as a month with only 1” of material. She tested it with her own cat and forgot that she even had a litter box in the house. There has probably never previously been an entrepreneur with a personality that fit their product line better than product line better than Lori’s personality fits Anti-Icky-Poo and Almost Invisible Cat Litter. As the parent of a severely autistic child and the caretaker of 5 dogs and 2 cats during his life time, in addition to being the temporary care taker of dozens of other animals. Eric is no stranger to pet stains, food stains and carpet odors. His handicapped son and cocker spaniels used the carpet several times. Eric went to the pet store and asked for the best odor removers. The clerk said that the national brand was the best product and he got down on his hands and knees and rubbed that product repeatedly into his carpets without success. He then got a steam cleaner and used it weekly, but the urine smell continued to return. The process was extremely frustrating and disheartening. Eric’s dogs had passed and he had moved to a new residence before he ever heard about Anti-Icky-Poo. While growing up, Eric never had a cat because his mother would refuse to be anywhere near a litter box. How ironic is it that he is involved with the Smell Absolutely Nothing Cat Litter. We will be sponsoring these wonderful animals for the duration 2015 and beyond. Please click the links to their donation pages.